LLC FAQ's | Kevork Adanas, P.C. 1. What is a LLC or Limited Liability Company? The LLC is a hybrid of the corporation and the partnership models of organizing a business. However, under New Jersey law, the LLC is neither. Organized like a partnership, with founding members making any agreement(s) of their choosing, an LLC may be structured similarly to that of either a C corporation or an S corporation, depending on which better benefits the organization. Typically an LLC is structured so that any taxable gain is distributed to the owners, and the tax obligations follow to the owners as well. In addition to the LLC’s ability to avoid corporate income taxes, the members are granted some protection from personal liabilities of the organization. Although the capital invested into an LLC is not shielded from creditors, personal assets are exempt from attachment by the IRS or other tax authorities (unless complications due to mismanagement have occurred). 2. What are the benefits of an LLC? As discussed above, an LLC allows for more personal protection of the corporation’s liabilities, and has the flexibility of choosing its tax structure. Also, an LLC is more flexible in its set up, and less paperwork is required in its management versus that which is required of an S corporation. 3. How many owners can a LLC have? The government does not restrict the number of member/owners an LLC must have. It can be as few as one, or as many as wished. All LLCs qualify for pass-through tax management. Most LLCs opt for pass-through taxation. This means that all the gains or losses of the business are passed onto the individual members, and none is taxed at the business levels. Instead these gains are taxed at the members’ level (losses can be filed at the individuals’ level as well). Taxes or credits due are paid or received by the business owners. LLCs can elect to pay corporate taxes at the business level. However, individual states can have tax codes that differ from that at the federal level. We can provide you with this and other helpful information. The state in which the LLC was incorporated may impose franchise taxes. It must be paid when an LLC is registered in that state to transact business. Some states require an annual minimum amount (California’s is $800 annually). The timing of when this tax is due is dependent upon the state’s own laws. Fortunately, bills are sent out to remind business owners when the taxes are due. 5. What rights do owners of LLCs have? Owners of an LLC have two rights: to vote in the decisions made on behalf of the business, and to share in its profits. The weight of these rights may be decided as straight percentages, or by what is known as membership units•. The LLC decides which way to honor these rights. As an example, let’s say Owner A contributed $10,000 to start up the LLC. He is considered a silent partner, directing no actions on a day to day basis. Owner B, while not contributing any money to the business directly, uses his time, energy, education, and experience, running the business and being its face. These two owners may agree to split all profits and losses 50%-50%. This would be what we call Straight Percentage. If this same company were to organize using membership units•, different classes of ownership are created. If an LLC has multiple investors, it can classify them into different units, such as super-voting (where the weight of each of their votes would equal ten of the others) and regular-voting(where each of their votes counts as only one vote). If the LLC is kept small (less than 35 investors/members/owners) and these people are all knowledgeable about investments, it is possible that your LLC would be exempt from oversight by federal and state securities laws. In this instance, the sale of membership interests must not be advertised. However, if you are looking to receive significant moneys from many investors, it would be wise to consult with an attorney. We at the law office of Kevork Adanas, P.C. are available to help you. 6. How are LLCs managed? If operated more like a partnership, the LLC would be managed by its members, with each having an equal status regarding decision making. Or the members may choose to elect or hire managers who would then behave similarly to the Board of Directors in a corporation, taking charge of the LLC’s daily affairs. The usual way LLCs are managed is by the members. Whichever way you decide to set up your LLC, here is a list of things to remember: Keep LLC moneys separate from personal moneys. Keep LLC records separate from personal records. Keep LLC accounting separate from personal accounting. 7. 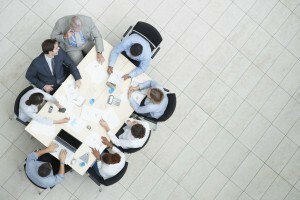 Are LLCs required to have meetings? Although members may hold meetings that they or their managers believe are necessary, there are no meetings legally required by LLCs. However, even though these meetings are not required, and therefore neither is any record keeping required, if meetings are held, minutes or records of approved actions should be kept. This is just a good business practice. 8. Can I sell my interest in an LLC? Usually, any ownership transfer would require the consent of all other members. However you may change to another way of membership transference. At the law office of Kevork Adanas, P.C., we can assist you when choosing from the available options. However, if you consider your membership as business partners, it may be wise to stipulate how and to whom their membership may be transferred, in the interest of business continuity. 9. What are the differences between an LLC and Corporation? It is a common debate business owners must consider: Form as an LLC or as a corporation. Both choices give excellent protection from personal liability. Each offers advantages distinct from the other. The choice is dependent upon your particular business operations and your tax strategy. Fewer Formalities: Regular meetings of both shareholders and the board of directors must be held, and written minutes must be filed with the state of the business is organized as a corporation. An LLC, on the other hand, is not required to hold these meetings. Ownership restrictions: More than 75 shareholders are not allowed when a business is formed as an S corporation. In this circumstance, all shareholders must be legal residents or citizens of the US. Accounting methods: LLC’s may choose to use cash method accounting•. This is when income is not counted as earned until it is received. C corporations most often must use accrual method accounting. Living trusts: LLC membership interests may be placed into the member’s living trust. If this is done under the auspices of an S corporation, it can raise some issues. Loss deduction: Active participants in LLC’s can deduct any of the business’ losses they are entitled to against their regular income (up to the extent permitted by law). Although S corporation’s shareholders are also allowed to utilize this deduction, C corporation shareholders are not allowed to do so. Tax flexibility: An LLC is usually organized as a pass-through• entity. This default setting allows the LLC to avoid the double taxation• C corporations are hit with. Also, LLCs do not pay unemployment insurance taxes on any salaries given. But an LLC has the option of being treated, in regard to tax purposes, as either a C corporation or an S corporation. Social Security and Medicare taxes: LLC owners, in some cases, may pay more taxes than corporate owners. This is because an LLC pays self-employment taxes on both the profits and the salaries of its members. This is equal to 15.3%, currently. If structured as a corporation, only salaries are charged with this tax. LLC owners who take a salary of $102,000 or less sustain the greatest disadvantage here. Profit recognition: Immediate distribution of profits is not required of a C corporation. Shareholders are not taxed until they receive their portion of the corporation’s profits. If an LLC elects not to be taxed as a corporation, the businesses profits are included in the member’s income automatically. State tax rules and fees: Corporations that generate profits do not pay as high of taxes and fees that an LLC would in some states, even if earnings are the same. Fringe Benefits: Medical reimbursement plans, group insurance plans, medical insurance, and other benefits must be treated as taxable income for LLC employees. Any S corporation employee must also be taxed on these benefits, if the own less than 2% of its stock. These same benefits are not taxable for C corporation employees. 10. What are the differences between an LLC, Partnership and Sole Proprietorship? Let’s compare an LLC to a partnership and a sole proprietorship. The Raising of Capital: Many avenues of raising capital are open to the LLC owner. It can sell membership interests, create a new class (or classes) of membership, and can assure investors that they are protected from the business’ debt. Set up costs: Forming an LLC requires the expense of filing fees, formation fees, and annual state fees. While these fees can be offset due to lower insurance costs, a sole proprietorship or partnership does not have these start-up costs. Organizational Formalities: Sole proprietorships and partnerships require fewer formalities than an LLC (which has fewer formalities than a corporation). Separate records: A sole proprietorship or partnership is not required to keep separate bank accounts, records. Doing so may be wise, but it is not required, as neither the sole proprietor’s nor the partnership’s assets are protected from collection of business debts. 11. What is the New Jersey Registered Agent Service? 12. What is your Mail Forwarding Service? 13. What types of Rush Filing Services do you provide? If you require your LLC to be formed urgently, we can file the registration forms and prepare all of the necessary documents to be ready for shipment within two business days. If you require your LLC to be formed quickly, we can file the registration forms and prepare all of the necessary documents to be ready for shipment within four business days.